We provided architectural services for these new retail centers, along with some of the interior tenant spaces. 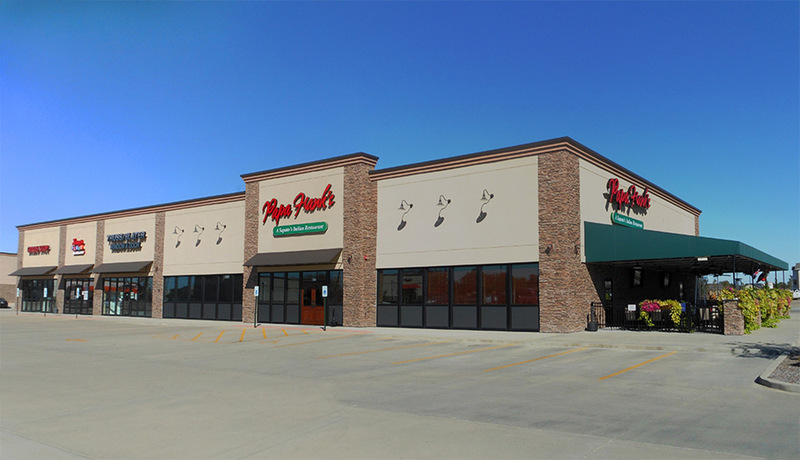 Meadowbrook I includes Papa Frank's (6,800 sf. restaurant), Gyro Stop (2,171 sf. restaurant), Lucy's Place (1,106 sf. gaming parlor with five gaming machines), and Truss/Slater Window & Door (2,193 sf. showroom). Meadowbrook II is a two tenant building that includes Firehouse Subs (2,165 sf. restaurant) and Sasa Nails & Spa (2,555 sf.). Meadowbrook III is occupied by Mimosa (4,500 sf. restaurant and bar). Meadowbrook IV includes Luttrell Jewelers (2,131 sf. jewelry store), Coldwell Banker (5,577 sf. real estate office), and Once Upon a Child (5,614 sf. children’s resale store). We also designed the interior build-out for Solar Tan (1,750 sf. tanning salon), which is no longer a tenant.